Eminem’s official online store is stocked with The Marhall Mathers LP packages that include bricks from the rapper’s childhood Detroit home (which is pictured on the covers of both his 2000 classic and its 2013 sequel). 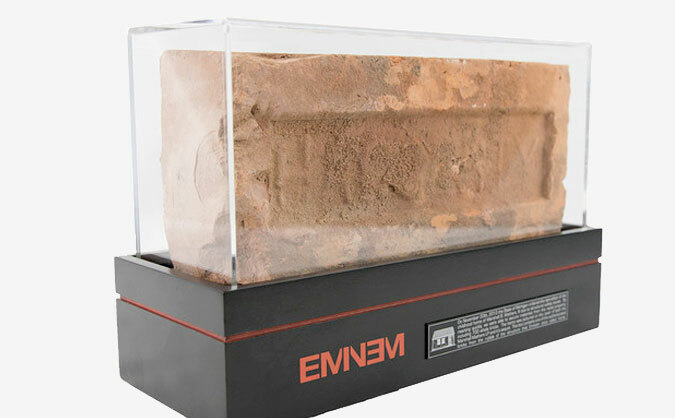 “Own your piece of history with an authentic brick from the remains of Eminem’s childhood home,” the site reads. The Marhall Mathers LP was released 16 years ago today. Packages also include a cassette re-release of the album, and range from $315–$350.